Financial services firms are facing an unprecedented raft of challenges. Since the financial crisis, a new regulatory environment has forced a revamp of the responsibilities of boards, pushing functions such as risk and compliance to the top of the corporate agenda. At the same time, rules designed to make institutions safer means they must hold more equity capital, driving up their cost of funding. Pressure is also coming from the introduction of initiatives like MIFID II (Markets in Financial Instruments Directive), which has unbundled the cost of research from banks’ other offerings, again putting pressure on earnings. This reputational fallout has challenged the ability of financial services firms to attract the “brightest and best”. Likewise, fund managers are using MIFID II as an opportunity to revamp their institutional relationships, while the advent of IFRS 17 (International Financial Reporting Standard) will have a profound impact on the insurance industry. The banking industry has suffered multiple scandals, from PPI to Libor manipulation, exposing a damaging short-term culture, while the multibillion-pound taxpayer bailouts to cover the excesses of bankers sparked outrage throughout society—and the ripples are still being felt today. This reputational fallout has challenged the ability of financial services firms to attract the “brightest and best”, and they must reach out to, and understand, a more idealistic set of stakeholders that are increasingly attracted to other industries such as technology. Meanwhile a series of regulatory reforms—such as curbs on pay, along with the introduction of the Senior Managers Regime, which holds individuals accountable for corporate misconduct—have made banking less appealing. The insurance industry is staring down the barrel of fundamental reform. Against this backdrop, financial services firms must re-engage with the economies they serve while new skillsets are required of boards and senior management as banks embrace digitisation and redefine themselves as technology providers. The shift to online banking and the rise of digital disruptors, from payments providers to cryptocurrencies, is leading to a more fragmented offering. Rapid technological developments are creating threats and opportunities. Tech is enabling banks to cut costs as large swathes of trading activities are automated. This requires big investments in creaking infrastructure as banks look to upgrade technology platforms. And vibrant fintech start-ups are flourishing, threatening to disintermediate financial institutions while the development of artificial intelligence and machine learning is revolutionising financial investment and advice. The asset management industry is also facing considerable challenge. 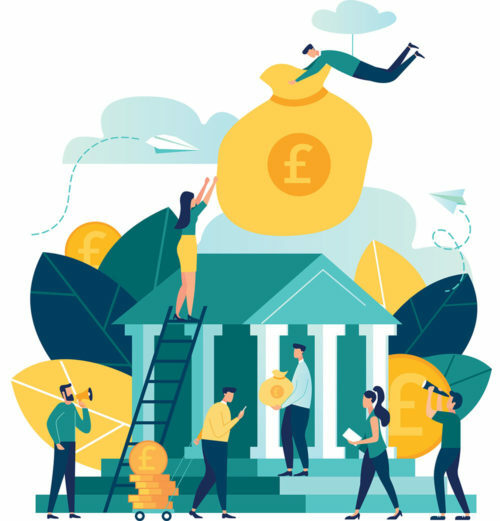 The rise of passive investing is set to continue and place increasing pressure on costs as revenues fail to keep pace with the growth in assets under management. A report by Oliver Wyman predicts that asset management fees could drop by 40% in the coming years, driven by the growth of passive investing and the rise of technology, while revenues could drop 13% by 2020 in the event of a stock market downturn. Boards must plan now to tackle these challenges. The insurance industry is staring down the barrel of fundamental reform. In May 2017, the International Accounting Standards Board (IASB) released IFRS 17, which comes into effect on 1 January 2021 and replaces the current interim regulation IFRS 4. With IFRS 17, the IASB aims to establish one set of principles for the recognition, measurement, presentation and disclosure of insurance contracts. The implementation will be complex, not least because there will be different interpretations of how to apply the standard across more than 100 jurisdictions. Insurance companies reckon the cost of implementation will run into the hundreds of millions of dollars. New rules governing data means firms must safeguard the confidentiality of their customers. Whether in asset management, insurance or banking, financial services institutions hold more data on their customers than ever before, boosting the potential to improve their offering. With that power comes responsibilities. New rules governing data means firms must safeguard the confidentiality of their customers. But this technological revolution has its downsides. Customers place their trust in financial services firms, which need robust and sophisticated controls to fight against hacking, cybercrime and misconduct from within the organisation. Since the financial crisis, banks have moved from a model that measures performance by top-line growth, to one based on returns and covering the cost of capital. With many investment arms still failing to cover the cost of capital, there are questions about their business mix. Should they exit investment banking altogether and concentrate on more utility-style returns? The political and regulatory backdrop also serves as a headwind to banks’ previous global models. New rules require banks to fund their subsidiaries separately, while the rise of political nationalism will further fragment models. Brexit is a big unknown that will have implications for years to come, and bigger macro trends like climate change and shifting demographics have profound implications for investment portfolios. In an era where reputations are more valuable than money, boards must understand the importance of corporate social responsibility. All of these issues are vying for attention with bank boards at a time when the rise of ESG investing (environmental, social and governance) challenges firms to judge performance by a broader set of measures such as sustainability, the promotion of gender diversity and equal pay. At the same time, the rise of social media and the resulting speed of information flow means corporate reputations are harder than ever to establish and maintain. In an era where reputations are more valuable than money, boards must understand the importance of corporate social responsibility. The winners will be those that can successfully develop a more transparent engagement with all of their stakeholders in a manner which leads to superior long-term returns. The job of the board is to navigate these challenges and ensure effective governance so that institutions can generate sustainable returns across a broad range of measures. While financial services firms have spent the past decade trying to make themselves less complex and more transparent, they have in fact become more difficult to manage. This guide aims to help equip boards with the knowledge and insight needed to deal with six key areas in the context of these unprecedented times. The boards of global financial institutions must have the expertise, diversity and operational understanding to ensure effective oversight, but before that they must set the company on its cultural and strategic axis. Investors are placing ESG issues at the top of their agendas, and they expect the companies they invest in to do likewise. A board that sees ESG as a box-ticking exercise, or fad, is probably hiding the symptoms of a deeper malaise. It is not enough to say they are sustainable employers; they must demonstrate it, or their share price will suffer. But rather than simply looking to protect a reputation or adopt ESG after the fact, boards can set the tone and ensure strict oversight to secure long-term success. Effective boards have a crucial role to play in aligning incentives with long-term performance and keep a tight rein on behaviours that could undermine sustainable practices. The financial and non-financial sectors held their collective breath in anticipation of the first round of potentially significant fines being levied for non-compliance with the EU’s General Data Protection Regulation (GDPR), expected by the end of 2018. GDPR imposes a maximum fine for breaches of €20m or 4% annual global turnover, whichever is higher. The artificial intelligence revolution could prove to be the most fundamental development since the original rise of homosapiens, according to Nick Bostrom, a professor at Oxford University. The artificial intelligence revolution could prove to be the most fundamental development since the original rise of homosapiens. Boards must prevent “siloes” developing between businesses, where specialist knowledge is retained by a small number of technologically savvy individuals and they must understand the complexity of the products that they manufacture. You can download a copy of the full Future-Proofing Financial Services report here.